At UK Events we pride ourselves on offering quality dance floors across the United Kingdom. With 10 styles of flooring available to rent, we offer the largest variety of flooring in the Country. 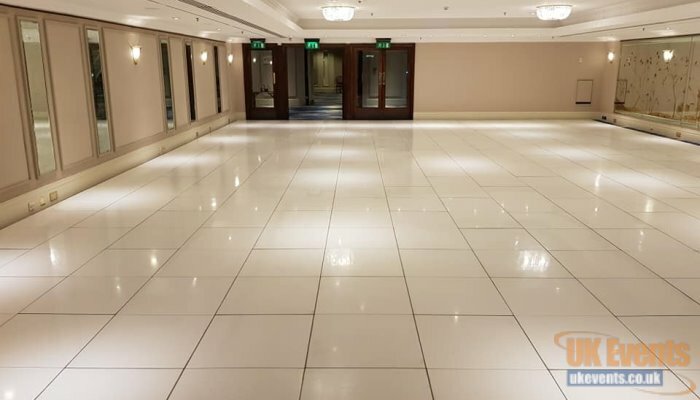 From plain white or pure black dance floors to light up LED flooring, we will have the perfect dance floor for your event. 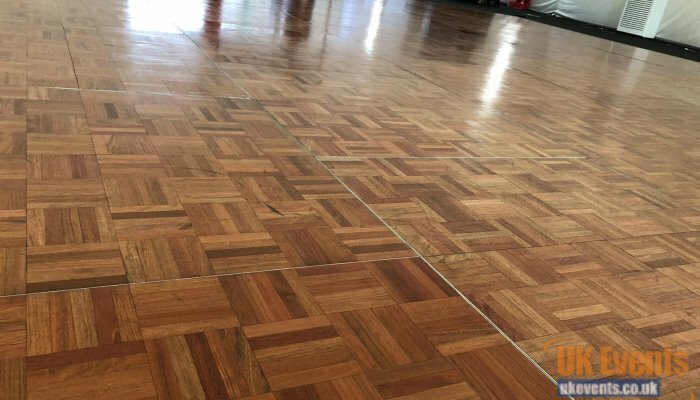 All our dance floors are well maintained and professionally installed by our fully trained technicians. 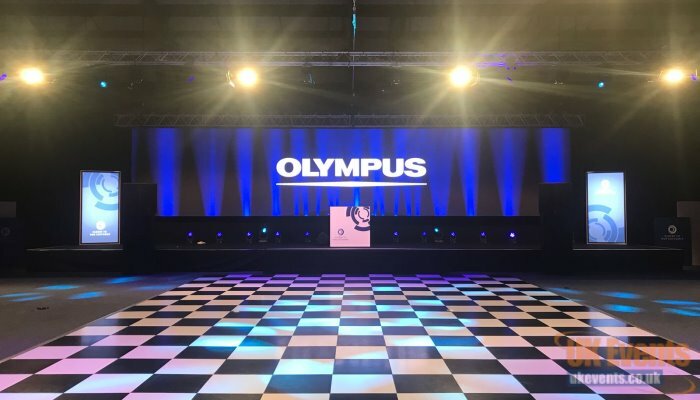 Booking a dance floor couldn’t be any easier and we offer other room enhancing products to compliment our dance floor range. 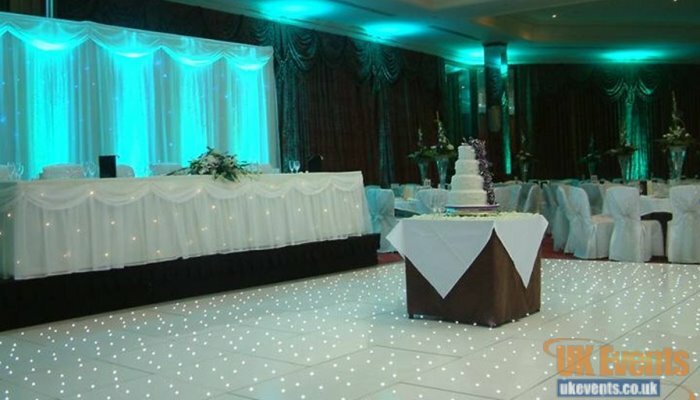 Our stunning white LED starlit dance floor can be hired for Weddings, Birthday and private events. This is our most popular dance floor in our hire range and can be made to almost any size you require. Our black starlit dance floor is suitable to hire for any event including Birthdays and Corporate Functions. The bright white twinkling lights create a great centrepiece to any function room. 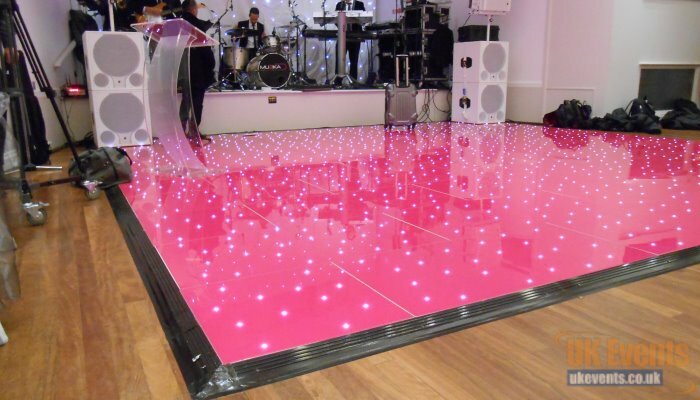 Our Beautiful pink starlit dance floor is the only floor of its kind in the World. We had the pink dance floor custom made to increase our variety of floor rentals. 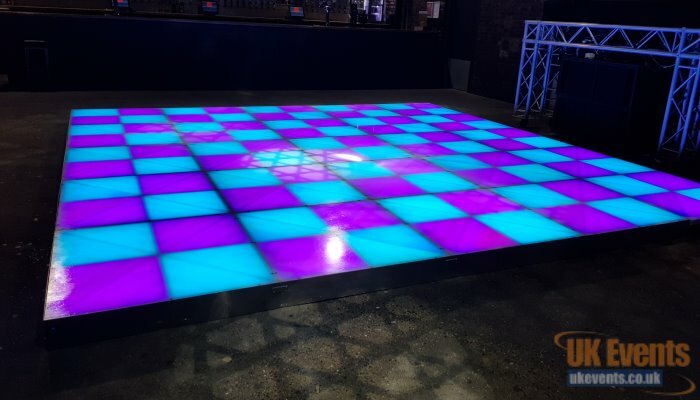 Our LED Saturday Night Fever dance floor is a multicoloured slightly raised dance floor platform ideal for those retro events. Ideal for 70's and 80's retor parties. Our traditional oak parquet is perfect for traditional parties and large dance events. 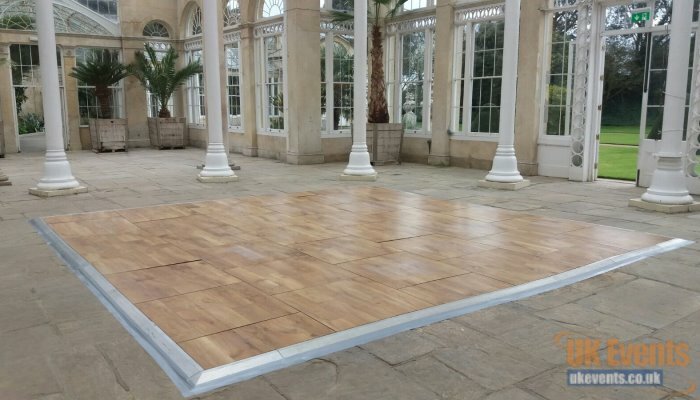 The dance floor is made from real oak and can be laid to any size you require. 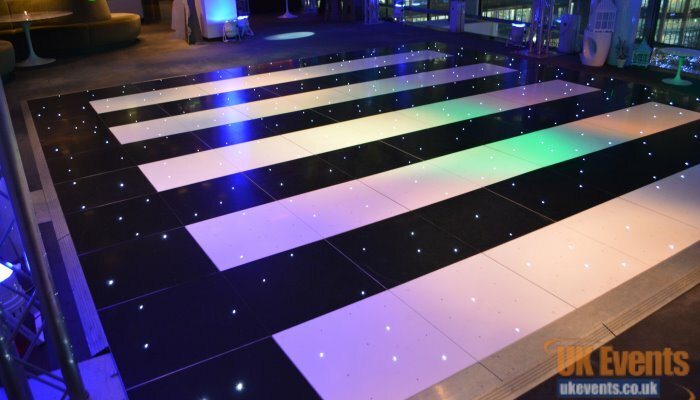 Our black and white chequered dance floor works extremely well in any function room or marquee. 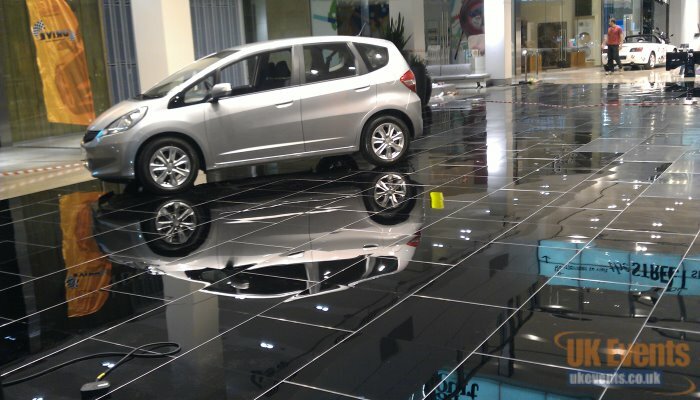 The chequered dance floor can be made to any size you require. 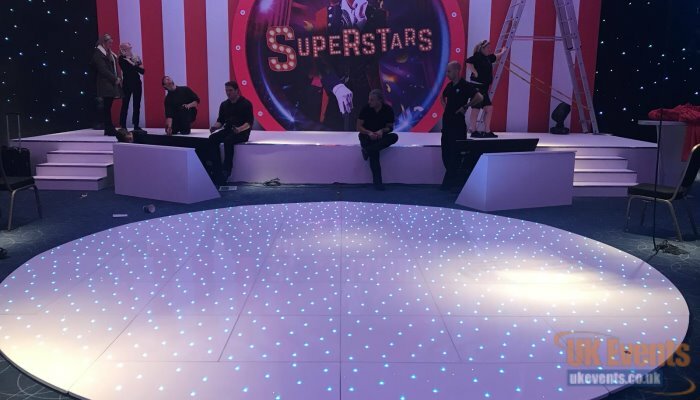 This white LED circular dance floor is the only RGB Starlit dance floor available to hire in the UK. Our pure black dance floor is perfect to hire for birthday parties and corporate events. You choose the size that meet your requirements. Simple and elegant is our pure white dance floor which is prefect for weddings receptions and birthday parties. A great all-round dance floor available in a size of your choice. If you’re planning a garden party, outdoor event or music festival then an outdoor dance floor would be a perfect choice. This is the only outdoor dance floor available to hire from our range of flooring and can be laid on grass, decking, concrete and patios. Mix and Match dance floor panels to achieve a funky effect. 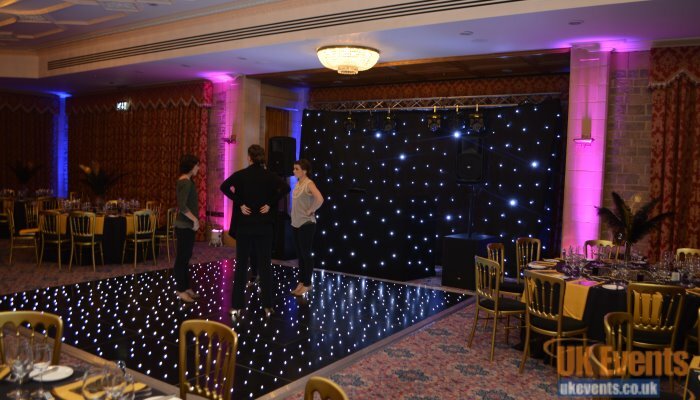 Most of our floor range are inter-compatible, so you can create a bespoke dance floor for your next event.